In February of 2014 a fire erupted at a storage facility in Buenos Aires, Argentina. The internal structural supports of the building were destroyed along with the exterior walls which supported the roof. The First Response Team from Childress Engineering Services was called to assist with initial buildings structural assessment, then addressing the life safety issues during the investigation and clean up. CES also monitored the structural stabilization and shoring of the racks during document retrieval and the removal of the building contents and the removal of the racking system. 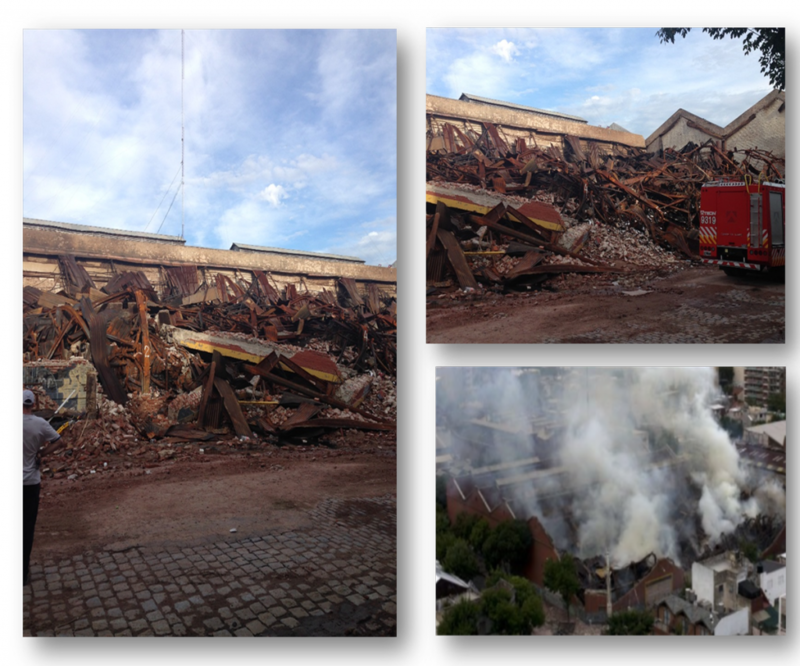 Working with the project team, the removal work was successfully completed without any injuries to any workers.